This will be the final instalment in the “official” Having Fun With Epic Fantasy Tropes post series, which is only fitting since ten is for completion— Oops, there I go already, getting myself caught up in the alchemy of numbers! Just for a few examples, the Greek heroes, Perseus, Theseus, and Jason were all only children—or effectively only children, since all Jason’s siblings were murdered when he was a baby. So, too, are the fairytale protagonists Sleeping Beauty, Snow White, and Jack the Giant Killer. The number three features prominently in both Greek and Norse myth, e.g. the Three Fates and the Three Graces, the three Gorgons and the three goddesses—Hera, Athena, and Aphrodite—who quarrel over the golden apple inscribed, “for the Fairest.” Odin, Thor and Loki are a frequent triumvirate in the Norse myths, while in the fairytale realm, Prince Ivan, Cinderella, and Beauty (in Beauty and the Beast) are just three examples of characters that are the youngest of three children. If looking for another really significant number, however, it’s impossible to go past seven, which I think most would agree is every bit as famous as three. For example, the seventh child of a seventh child is usually particularly lucky and/or gifted with the second sight. Greek myth gives us the Seven Against Thebes as well as the Seven Sisters that became the Pleiades constellation, while Sinbad went on seven voyages, and the Seven Dwarfs star in the popular and enduring Snow White fairytale. I believe it’s inarguable that numbers play a significant part in myth, fairytale, and folklore. What’s less clear to me is why. My best guess is that it’s something to do with the human love of patterns, but whatever the reasons, it’s given us a force to be reckoned with. It’s perhaps not surprising, therefore, that the alchemy of numbers is firmly embedded in Fantasy storytelling—and epic fantasy does not escape. In fact, one might argue that a literary subgenre with a predilection for Chosen One’s, actively embraces the significance of numbers. As well as “Chosen One’s” there are also “hero/heroine alone” protagonists, like Mara of the Acoma (one of my favourites—from Raymond E Feist and Janny Wurts’ Empire trilogy), the paladin, Paksenarrion (Elizabeth Moon: the Deed of Paksennarion), Tenaka Khan in David Gemmell’s The King Beyond The Gate, or Kvothe in Patrick Rothfuss’ The Name Of The Wind. Epic fantasy’s love affair with the number one isn’t restricted to chosen heroes either. Very often (although it’s not universal) the Chosen One must oppose an ultimate Big Bad, such as Sauron in The Lord of the Rings, Rakoth Maugrim (in the Fionavar trilogy), Torak in the Belgariad, or The Dark One in the Wheel of Time series. The more I think about it, the more I realise that two is a vital part of epic alchemy. Its aspects include oppositions, such as (arguably) saidin and saidar in Robert Jordan’s Wheel Of Time series, and outright hatreds like the bitter antagonism between Bertran de Talair and Urte de Miraval that shapes the world of Guy Gavriel Kay’s A Song for Arbonne. The power of two also comprises complementaries, like the Prime and Secchi (father and daughter) Pairs in Roberta Gray’s The Sword And The Lion, the Aes Sedai and their Warders in the Wheel Of Time, and the wizards and their sources in Guy Gavriel Kay’s Fionavar trilogy. Bilo, the dark; death bound them also. And then of course there’s true love and some truly epic couples. Some of my favourites include Karou-Madrigal and Akiva in Laini Taylor’s Daughter of Smoke and Bone and Beren and Luthien from Tolkien’s Silmarillion. Then there’sShoka and Taizu in CJ Cherryh’s The Paladin; Jenny Waynest and John Aversin in Barbara Hambly’s Dragonsbane, Diago and Miguel from Teresa Frohock’s Los Nefilim… There are many more, so I could go on, but I won’t. 😉 However, two is unquestionably the number of power couples. NK Jemisin’s Inheritance trilogy centres on the triangle of Yeine, Nahadoth, and Itempas, while the conclusion of Courtney Schafer’s Shattered Sigil series is shaped by the three-sided relationship of Dev, Cara, and Kiran. I don’t think it’s possible to bracket the number seven and epic fantasy together without mentioning the book Seventh Son, which began Orson Scott Card’s Alvin Maker series. The series is set in the pioneering United States, in the first half of the nineteenth century, and draws on the history and folklore of the era, including the mystical lore of seventh-born sons. Seven is also the theme of John R Fultz’s Shaper trilogy, which comprises Seven Princes, Seven Kings, and Seven Sorcerers. A legendary king and his six brothers form The Seven-Petalled Shield in Deborah J Ross’s series of the same name—while in Juliet Marillier’s Daughter of the Forest (the first in her Sevenwaters series), it is Sorcha, the seventh and youngest child, who must save her six brothers from the enchantment that transforms them into swans. 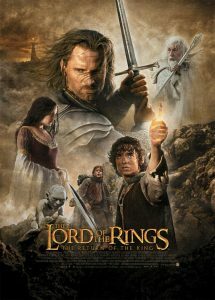 I’ve already mentioned the seven rings of power given to the dwarf kings in The Lord of the Rings, as well as the palantir, which are the “seven stones” of the rhyme, and the “seven stars”, which together with the “one white tree” are the symbol of the kings and kingdom of Gondor. Other signficant sevens include the seven seals to Shaitan’s prison in the Wheel Of Time, the seven unified kingdoms in the Westeros of the A Song Of Ice and Fire series, the Seven Cities in Steven Erikson’s Malazan world, and seven horcruxes in Harry Potter—to name just a few! The numerical alchemy in Thornspell is centered on the numbers one and two, although I would describe the protagonist, Sigismund, as a “muted” power-of-one figure. Although those in the know, both enemies and friends, recognise that he may be the prince who will attempt to break the spell of the Hundred-Years-Sleep, he is not a Chosen One of long-foretold prophecy in the same way Malian is in The Wall Of Night series. Dynamic duos and power pairings are really significant to the story, though, with the chief examples being the complementary mentor/”padawan” relationship of Sigismund and Balisan, which is counterbalanced by a similar relationship between the two antagonists, the Margravine and Flor. Sigismund and the Margravine are the primary antagonists, but the opposition between Sigismund and Flor is counterbalanced by the friendship of Sigismund and Rue. Other noteworthy duos in the story are the servants, Wat and Wenceslas, the noble kinsmen, Adrian and Ban Valensar, and the horse copers, Falk and Rafe. In a way, these pairs reflect the two significant dualities that underpin the story, which are the sleeping world within the hedge of thorns and the waking world without, and the opposition between the human world and the faery realm. As indicated above, The Wall of Night story is centered on Malian being a Chosen One of prophecy, while Kalan’s path is also entwined with an ancient destiny. So the power-of-one tradition is definitely in play. Two also has a part to play, if not so strongly as in Thornspell. Malian and Kalan’s complementary relationship is definitely at the core of the story, while the Derai leadership of Earl and Heirs is a complementary pairing. When it comes to three, the helmet, sword, and shield of Yorindesarinen are very much in keeping with time-honored tradition, although the role of the armring plays with the formula a little. The Darksworn have three ascendants, while the Derai make a strong “three times three” showing with Nine Houses, Nine Gods, and nine aspects of the Golden Fire. 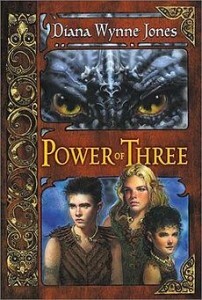 Kalan uses a “power of three” magical working in The Heir of Night and three Ara-fyr speak to Malian from the top of the solitary tower in Aralorn. There’s even a romantic triangle(!) in The Gathering of the Lost, between Audin, Ghiselaine, and Hirluin. Seven comes into its own in The Gathering Of The Lost as well, with the introduction of Jhainarian sevens, fighting units bound together and strengthened by magic. The heralds undertake a magical working based on seven adepts, too, in defense of the Hill fort. And although we’re not focusing on eight in this post, the heralds undertook another working, based on this number, in The Heir of Night. You may have noticed, too, that an “eight” is the base unit of the Derai military. And that, I feel, is quite enough to be going on with when it comes to the alchemy of numbers. I hope it makes a satisfying conclusion to the Having Fun With Epic Fantasy Tropes series.